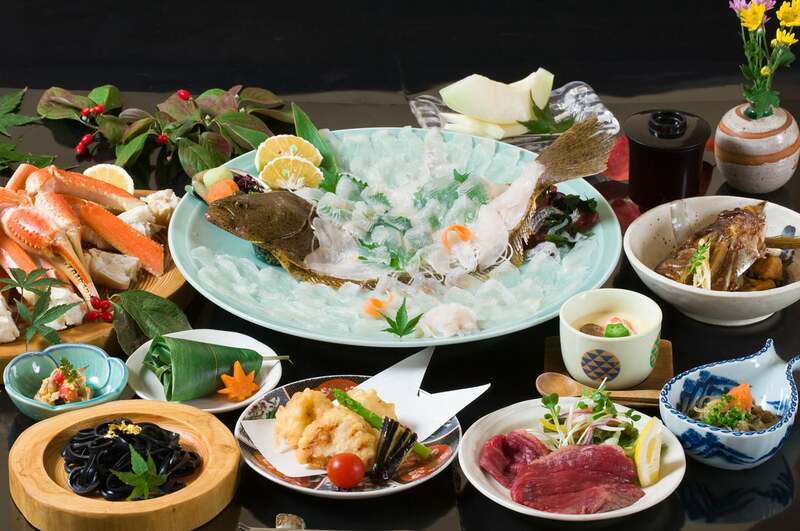 Popular Ikizukuri course｜Ikesu Kappo Heike provides Japanese cuisine，which mainly use fresh fish caught around Oita and seasonal ingredients. We devotes all our energy to showing guests hospitality. Side dish, Ikizukuri of Seki mackerel, Steamed dish, Grilled dish, Simmered dish, Fried dish, soup-type appetizer, Rice, Pickles, Dessert. Side dish, Ikizukuri of Seki horse mackerel, Steamed dish, Grilled dish, Simmered dish, Fried dish, Soup-type appetizer, Rice, Pickles, Dessert. We fillet fish in thick pieces to enjoy fresh Seki horse mackerel’s texture. This course includes other seasonal delicacies as well. Side dish, Ikizukuri of flounder, Steamed dish, Grilled dish, Simmered dish, Fried dish, Soup-type appetizer, Rice, Pickles, Dessert.